A software feature demo will showcase the best parts of your product to give viewers a better understanding of how it works and encourage them to sign up, download, or purchase! 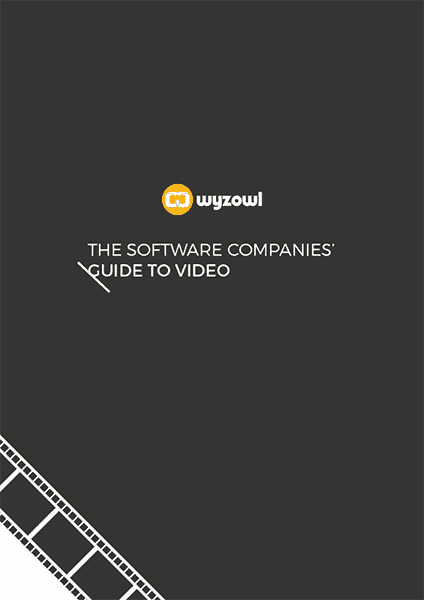 What Is A Software Feature Video? A Software Feature Video gives your viewer a guided tour of how your software tool works, in a way that’s much more comprehensive and engaging than screenshots alone. By demonstrating features in this way, you can show off the actual experience and reality of how your software tool works. Put simply, these videos help develop user understanding of your software. This understanding can play a part in convincing potential customers to download or buy. It can also help optimise the experience for existing users – giving them a better understanding of the full value and potential of your tools and features, helping increase engagement and retention. We’ve seen hundreds of thousands of dollars in the form of new customers who originated with us by watching a Wyzowl video. If your users are struggling with a certain aspect of your software, then a demo video can help them solve their problem quicker and easier so that they don’t need to call your support team. Seeing is believing. When you’re trying to sell your software, it helps if prospects can see it in action so that they know what they’re getting. A software feature demo can help you do this. Software feature demos aren’t just for gaining and helping new customers, you can also educate your current customers so that they get the best from your software. A knock-on effect of your software demo reducing support calls and increasing customer satisfaction is that you save time managing customers. Customers can happily solve their own problems by watching a quick video, and you can get on with other important tasks at hand. There are many ways to use a video like this. Ultimately you’ll want to make it available to people as they want or need to know about specific features of your software. A software feature video is a must-have for the home page of any software product. This type of video is a powerful and dynamic way to give your visitors a comprehensive product overview of a mobile or web application. It’s a great way to show off the actual user experience of your software in the best possible light. This helps potential users develop their understanding of how the app works – so they know what to expect should they buy or download it. The video we created a for Creditsafe for their product, Lead Generator, is a perfect example. The video uses text to underline the key benefits of the software, but without screen recording to demonstrate the actual user experience, this wouldn’t be nearly as effective. The viewer, having watched this video, doesn’t just understand what the app does – but how it actually works. This helps them visualise the process of using the app, giving them the most possible information to help them decide whether to download it. It also sets realistic expectations about what the app does and doesn’t do – meaning that those who download it are more likely to receive the experience they expected, increasing overall satisfaction and retention. YouTube isn’t just the world’s largest online resource for video content. It’s also the web’s second largest search engine. This means that when your potential customer is looking for an answer to a question, or a solution to a problem, there’s every chance that they’ll look on YouTube first. A video demonstrating the features and functionality of your software tool is a great way to boost your visibility and reach these potential users. If you check out this video for PR in a Box, you’ll see that it would be perfect for sharing on YouTube. It’s designed to get the viewer excited about the features and tools of the platform, with the call-to-action at the end of the video encouraging viewers to visit the website for more information. Both the Android and Apple app stores allow you to upload a video to help demonstrate the features and functionality of your app. This can act as a powerful tool to educate your potential users on what to expect should they download – and persuade them to take the plunge. According to AB tests by StoreMaven, apps with app preview videos tend to get 20 percent more conversions in the Apple App Store, and 35 percent more on Google Play. There are so many benefits to sharing a software feature video in the App Store. While screenshots allow you to demonstrate certain parts of how your app works, they’re don’t necessarily tie everything together and demonstrate the overall user experience. When watching a video, the viewer can get a full picture not just of how the app looks and feels, but how that all ties together into one cohesive experience. Video is hosted prominently on both platforms’ app store pages and is often the first thing a user will click. This allows you to make a great first impression and get across the key benefits and features quickly, without a user needing to read long passages of text. Each App Store has its own particular guidelines and requirements which we can discuss in more detail if you need more information and guidance. Software feature videos are great for your existing customers, too. They can help educate and inform your users about particular features that they may not have been fully aware of. This can help them get even more value out of your software tool, increasing engagement, satisfaction and – ultimately – retention. The golden rule of business growth, after all, is to look after your existing customers before you go after new ones! There are a couple of ways to make this video content available to your existing users. You could have a customer knowledge base – a sort of self-service educational resource, in which the user can find out more about all the different features and sections of your software tool. This approach is best exemplified by our friends at Mavenlink, who incorporated 25+ screen recorded demo videos made by Wyzowl into their Help Center. This has helped Mavenlink significantly cut reduce queries, freeing up time for other important tasks. Alternatively, you could create a simple FAQ page, which runs through each of the features. If you’re regularly asked ‘How does the calendar tool work?” for example, you could create a software feature video that don’t just tell the viewer how it works, but shows them, too – giving them a series of steps and tips to follow in order to use that feature to its full potential. Software feature videos are great for customer education, but they’re also a great tool to help build knowledge within your team. This sort of video could help educate them on the features of a customer-facing product to help them sell it better. Alternatively, it could help build their understanding of your back-end, internal systems that your team need to use efficiently on a daily basis. The beauty of these videos, in both cases, is that they can be revisited whenever necessary. If a member of your team isn’t quite sure how to use a particular feature in the back end – or a customer asks them a question they’re unsure about regarding a customer-facing app – the video is there as an ultra-helpful resource. This gives them the power to answer the question without asking for support and waiting for a reply. It’s an efficient way to deal with confusion and knowledge gaps as and when they arise. Giving your team the right knowledge is clearly very important; experts reckon that 40% of employees with poor training leave their jobs within the first year, And the cost of losing an employee in the first year can be up to three times that person’s salary.